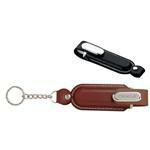 Custom Flash Drives, Promotional Flash Drives and Promotional Memory Sticks by Adco Marketing with your company logo imprinted. 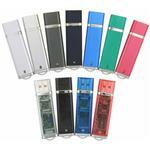 Our Custom Flash Drives come in a variety of styles from swivel top to security enables USB Flash Drives. 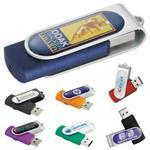 We specialize in rush flash drives and other rush promotional items with your logo imprinted. 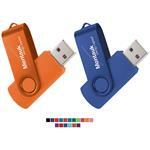 These custom USB drives are great for employee gifts, corporate gifts and in the lower memory capacity, trade show giveaways. 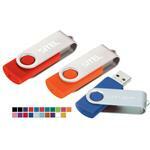 The USB flash drive memory market is constantly changing so call or email us at sales@adcomarketing.com to get the latest price. 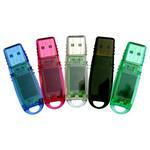 To see additional information on custom USB flash drives - click here! 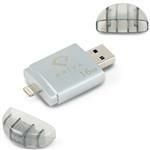 If you do not see the Custom USB Flash Drive that you like, call us at (888) 332-ADCO - there are hundreds of additional USB Drive and Memory Stick styles to choose from.